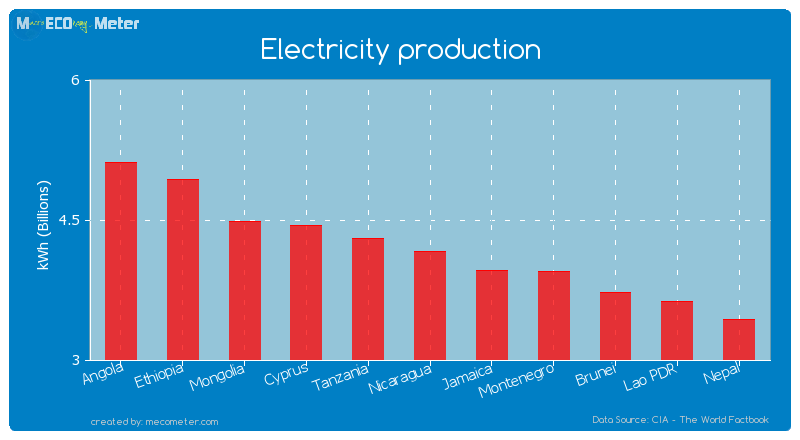 Value & RankThe Electricity production of Nicaragua is 4.16 ( billions of kWh) with a global rank of 121. 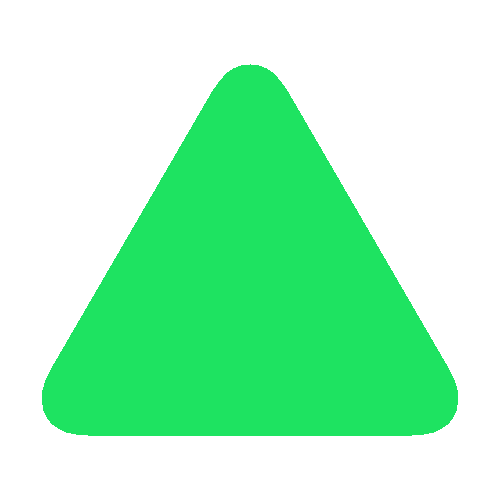 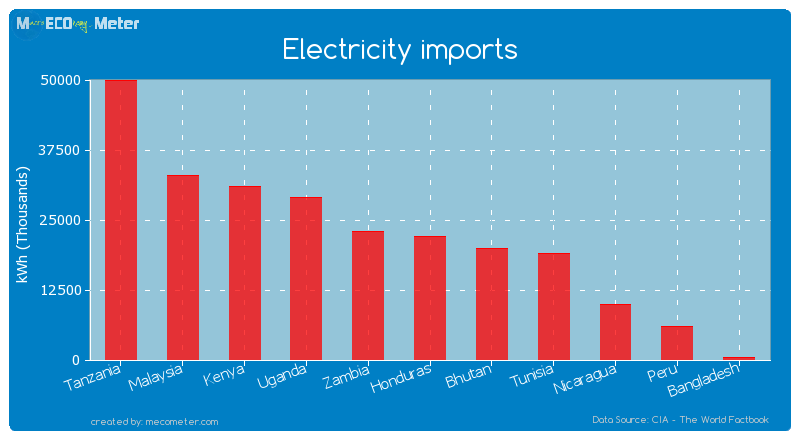 Value & RankThe Electricity imports of Nicaragua is 10.0 ( millions of kWh) with a global rank of 108. 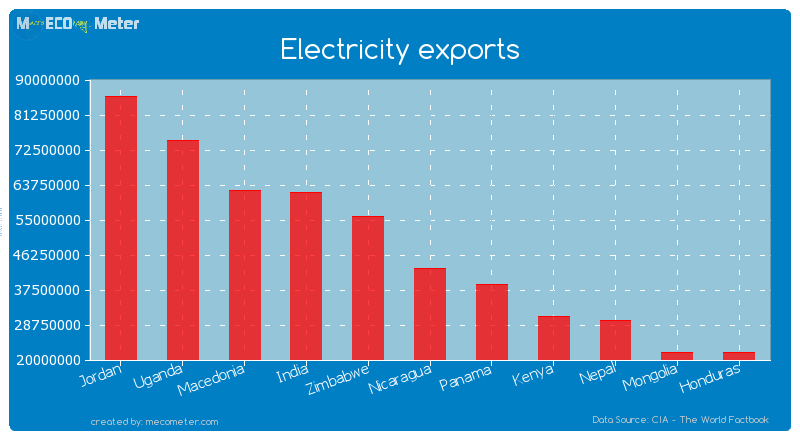 Value & RankThe Electricity exports of Nicaragua is 43.0 ( millions of kWh) with a global rank of 81. 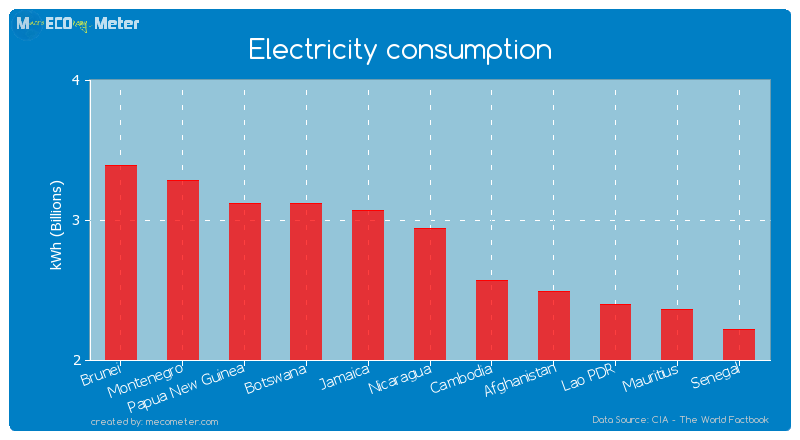 Value & RankThe Electricity consumption of Nicaragua is 2.94 ( billions of kWh) with a global rank of 130.